I reviewed the standard version of this album previously. This edition is essentially the same, although the booklet is more extensive. The only other difference is the addition of several bonus tracks. For the sake of consistency that original review is included here, but with the addition of the new songs. So, what follows is just that, the augmented original review. 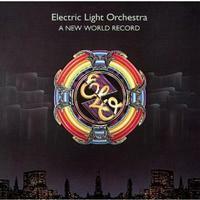 This is definitely one of my favorite ELO albums. It was a bit of a transition disc, moving from the more purely progressive rock stuff towards the more polished pop. For my money the song “Mission (A World Record)” might be the best piece they’ve ever done. I’d consider this worth getting for that song all by itself. I should note that I reviewed some of these tracks on a compilation set. For the sake of consistency, I’ve used or adapted those track reviews here. The sounds that open this at the beginning make me think of something from Face the Music. It works to a more dramatic symphonic treatment from there. It’s around the minute and a half mark before it moves out into the song proper, more of a rock and roll stomper, but with all the ELO trademarks. Starting with some unusual keyboard elements and the sound of a telephone ringing, this number is a mellow one that’s also got quite a bit of progressive rock built into it. It’s without question one of the band’s most classic pieces of music. It still holds up very well. We get a reprise of the introduction mid-track. Operatic vocals open this (and return later) but it’s a very Chuck Berry like number and has always reminded me a lot of “Roll Over Beethoven.” This is good, but not really a standout as far as I’m concerned. Now, this song is one that doesn’t get the same amount of attention as some the rest here. That’s a shame as far as I’m concerned. I’d consider this the best piece of the whole disc. In fact, it might be my favorite ELO song. Lyrically, it’s a science fiction piece. It’s quite symphonic. It’s very much a progressive rock number. It’s dramatic and powerful, even though it’s understated at times. There are some great jazzy grooves, too. Although this lands more in the AOR rock end of things, feeling at times like the Beatles, this is still quite proggy. It’s energized and fun, too. There is a weird little percussive section with symphonic overtones mid track. This truly is another classic cut from the band. I love the little Spanish sounding vignette at the start and in the middle of the cut. It’s definitely got some Beatles influences, but that’s really just the starting point. This is a wonderful cut with some great changes and alterations. There’s a real vintage music texture here, but turns more towards science fiction and prog music. It’s symphonic and also has some old styled rock and roll built into it. I like this one, but it’s far from my favorite piece on the disc. The guitar riff that opens this is classic and as good as this song is, that makes perfect sense. I’ve always found the lyrics to be a bit silly, but that doesn’t take away from the enjoyment. The combination of Beatles-like rock with space music and symphonic elements is classic ELO and the core of this song. It’s another that’s quite good, but not really a highlight of the set. It’s more because the rest is so good, though. The vocals on this song are more standard rock in terms of the texture and sound. Somehow at times, it sounds almost like The Bee Gees to me. The chorus is closer to the regular album version. I really like this song a lot. It doesn’t really fit with the rest of the album, though. So, I can see why it was left off the final tally. It’s more of a straight rock and roller. It’s well worth having, though. I do like the multiple layers of vocals quite a bit and this is just plain fun. With this you get what it says. Well, this isn’t so rough, really. Additionally, some of the non-lyrical backing vocals are included. Strictly a symphonic piece, this is pretty. Well, I don’t think I[d call this “rough,” but it is instrumental (well, there are a few non-lyrical vocals). It works pretty well like this. Much like the others, this also has some non-lyrical vocals. This one doesn’t work as well as some of the other instrumental takes on these songs, though.